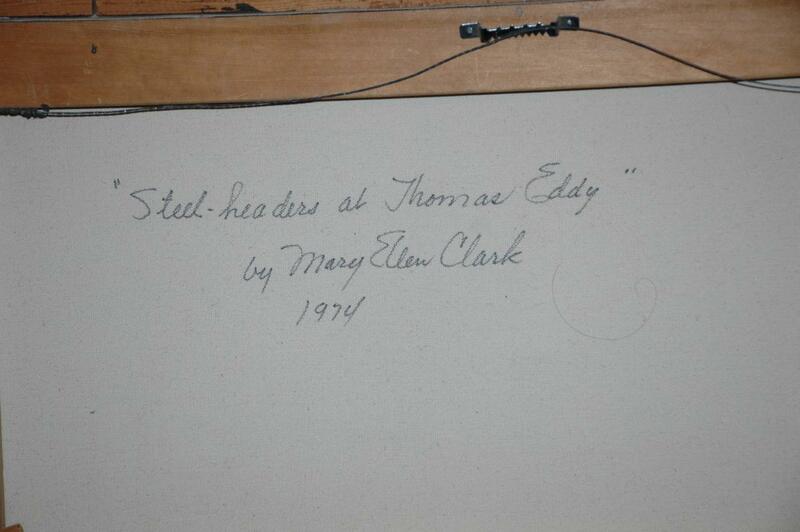 Steel Headers at Thomas Eddy by Mary Ellen Clark framed oil or acrylic painting on canvas. Dated 1974. Thomas Eddy park is in Snohomish County in Washington State. 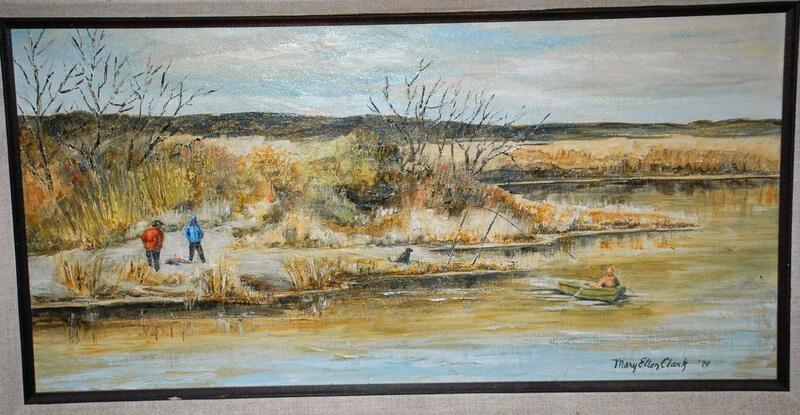 Lovely painting that provokes a feeling of freedom and nature that one gets when you are out there fishing in the rural areas in Washington State on a late winter day. 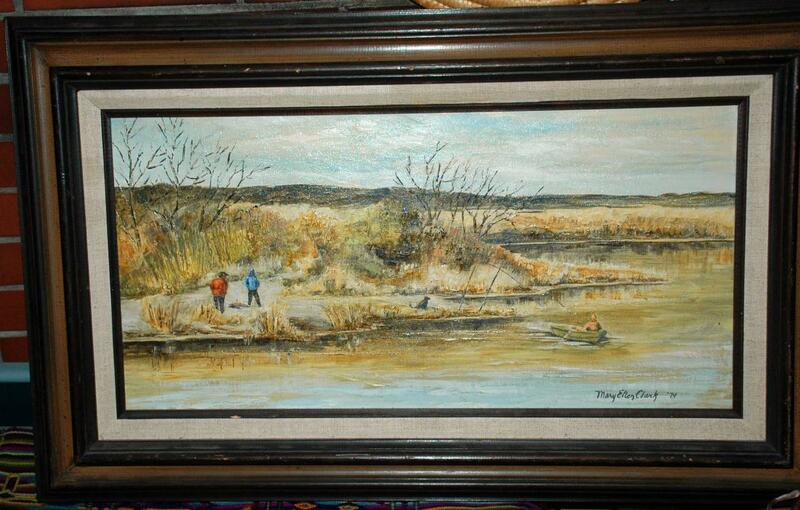 The canvas is 24" x 12" however the frame is 19" x 31". 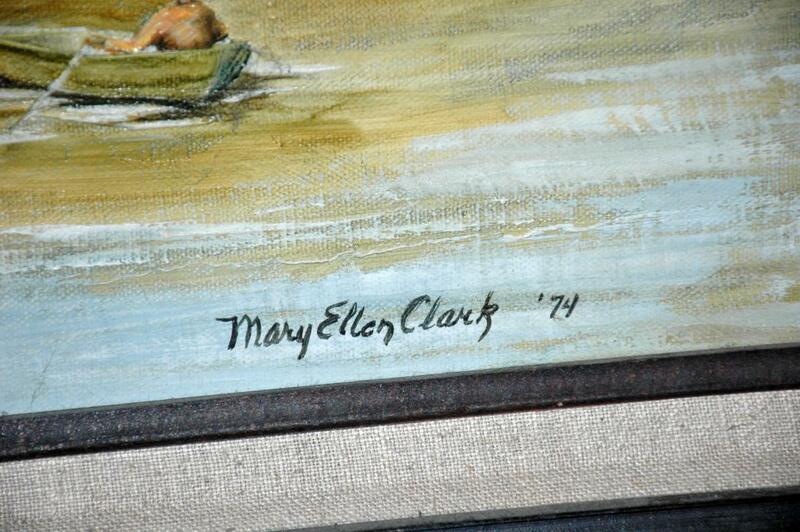 The painting is in excellent condition. The frame has a few dings on the wood but nothing major. 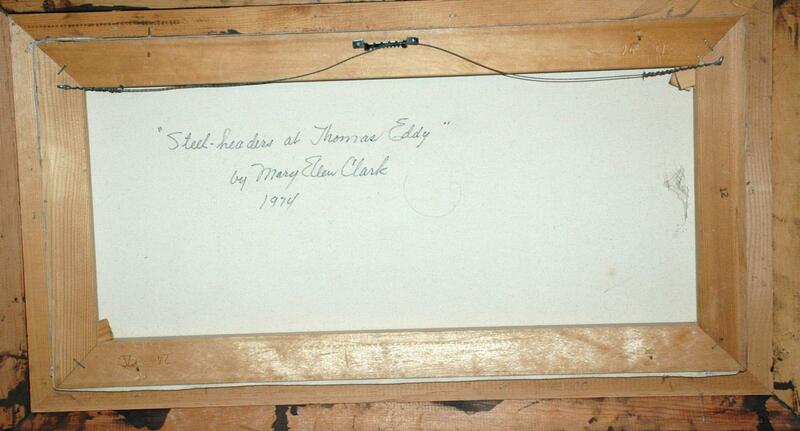 Items Similar To "Original Oil Painting Steel Headers at Thomas Eddy by Mary Ellen ..."